I can't believe I forgot to post this. 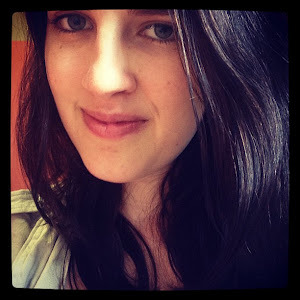 I had this written yesterday, but I came home from uni and pretty much fell asleep. I've been feeling ridiculously lazy lately - I haven't done any uni work, I've slept about 9 - 10 hours each night and I've eaten an insane amount of food. I blame winter. Sorry it's been such a long time since I posted - still adapting to the consistency thing! These puffs are perfect for Mother's Day. They're cute, small, delicious and warm. I don't actually think my own mother would eat any of these, except for maybe the avocado ones, but I hope she would at least try them. If your mother does like food like this - then it's perfect. Menu Options: This recipe is brilliantly simple. 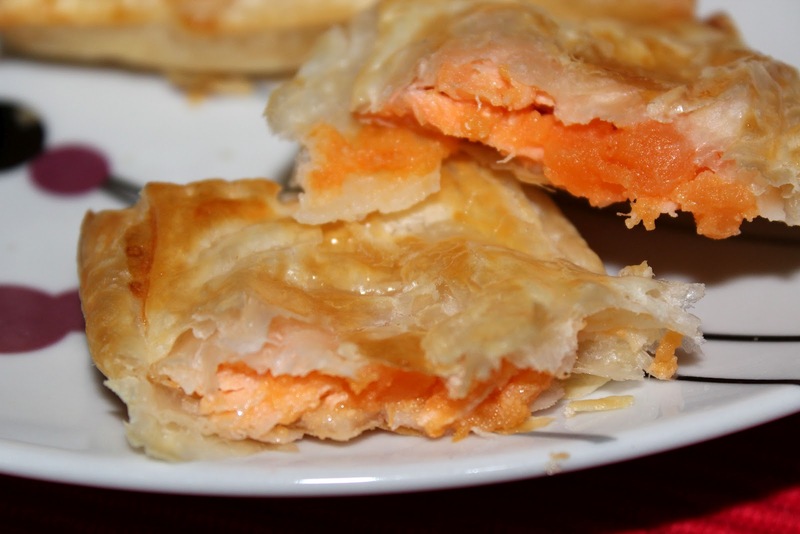 You can add other flavours if you want – maybe some lemon and rosemary to the salmon puffs. You can change the cheese for stronger or weaker cheese. 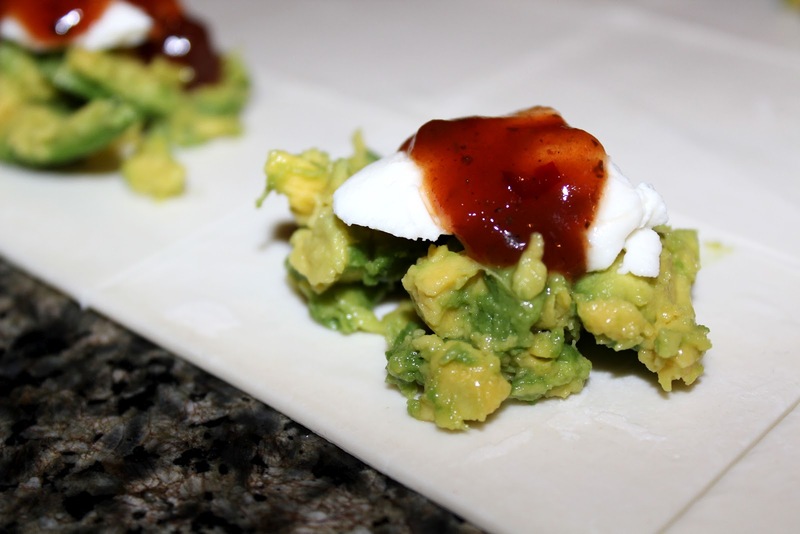 You can use salsa in the avocado puffs instead of tomato chutney – it is all entirely up to you. These are just basic ideas. A note about the salmon fillets – they should be already cooked. This is a great way to use up leftovers. You can also buy frozen salmon fillets which just need a few minutes in the microwave to be cooked properly. I know this sounds awful, but, at least in Australian anyway, I have found a great packaged salmon which I defrost in the microwave and it tastes fine. This is because I am a uni student and can’t afford real salmon fillets. This is also why my salmon fillets were small. If you are cooking your own, I recommend cooking with a little oil and lemon juice and rosemary. Boil the sweet potato. This usually takes me about 15 minutes. To make this process quicker, cut the potato up into small bits. Make sure the potato is very soft. 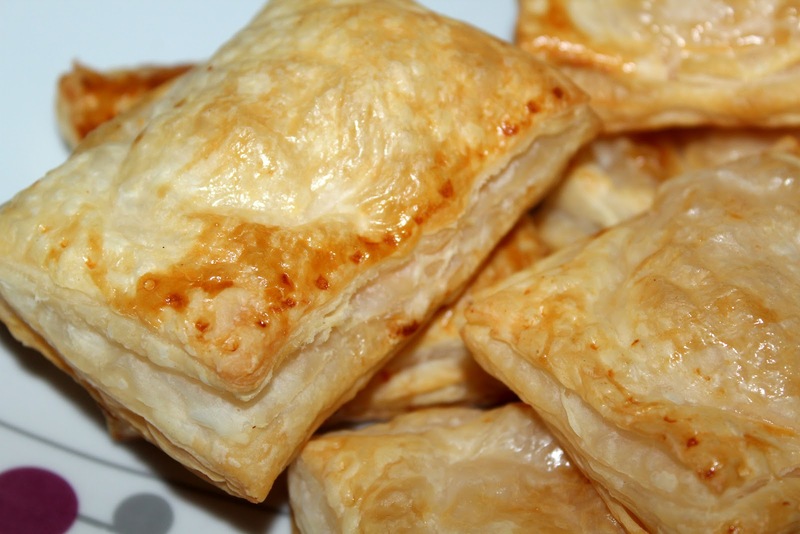 While boiling the potato, defrost the puff pastry. Mash the boiled sweet potato, and combine with goats cheese and salmon fillet. This means shredding the salmon fillet which can be done with a fork or your hands. Cut each sheet of puff pastry into twelve equal squares. As one square will be the bottom of the puff and another square will be the top, this means each sheet makes 6 pastries. Place a dollop of the salmon mixture onto six squares on each sheet. Cover the salmon filled sheets with a corresponding pastry lid. Using your fingers, press the corners of the two sheets of pastry together so the mixture is firmly enclosed in the pastry case. Using a fork, stab the edges of the pastry. The end result is that each individual pastry will have a border of dots from the fork. 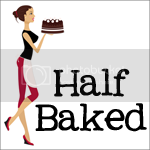 The border should go around all four sides of the pastry. This lets the air escape from the pastry and ensures the mixture will not spill out. Brush the lids of the pastry with the beaten egg. Bake in the oven for 12 – 15 minutes. Keep an eye on the pastry, as you want them to be a lovely, crispy golden brown. Follow the same process for these puffs as I said above, just using regular potatoes instead of sweet potato. NOTE: Do not bother measuring this out, as you will merely be using a tablespoon of the mixture on each pastry; this is just an estimate of how much you will need. Defrost the puff pastry. Once defrosted, using a rolling pin, roll out the pastry until it is stretched thin. Cut the pastry into 12 equal squares. 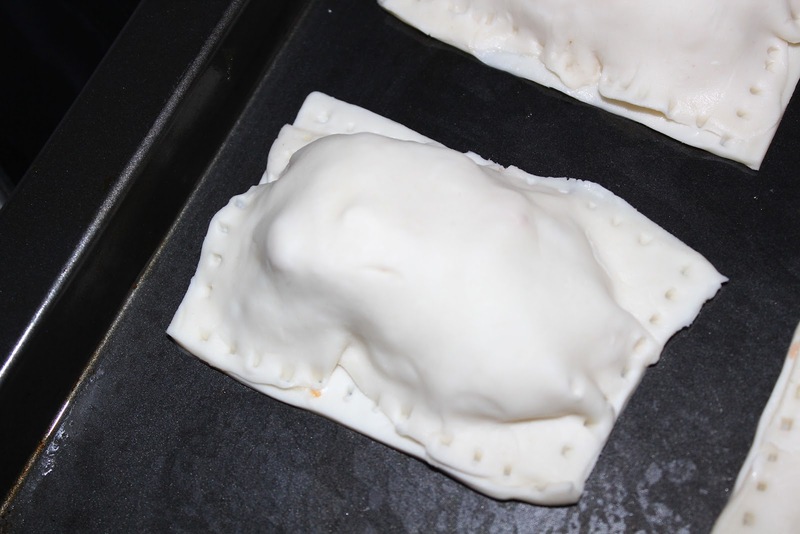 Cover the filled pastry squares with a corresponding pastry lid. Using your fingers, press the corners of the two sheets of pastry together so the mixture is firmly enclosed in the pastry case. Using a fork, stab the edges of the pastry. The end result is that each individual pastry will have a border of dots from the fork. 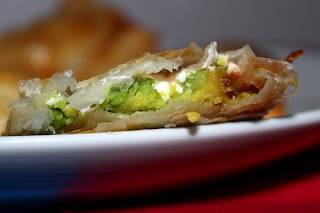 The border should go around all four sides of the pastry. This lets the air escape from the pastry and ensures the mixture will not spill out. NOTE: I made all of these on the same day, so I used two eggs – as you are only using the eggs to brush over the pastry you don’t actually use the whole egg so one egg can brush quite a few pastries.